It’s been awhile since my last unboxing – over a month! 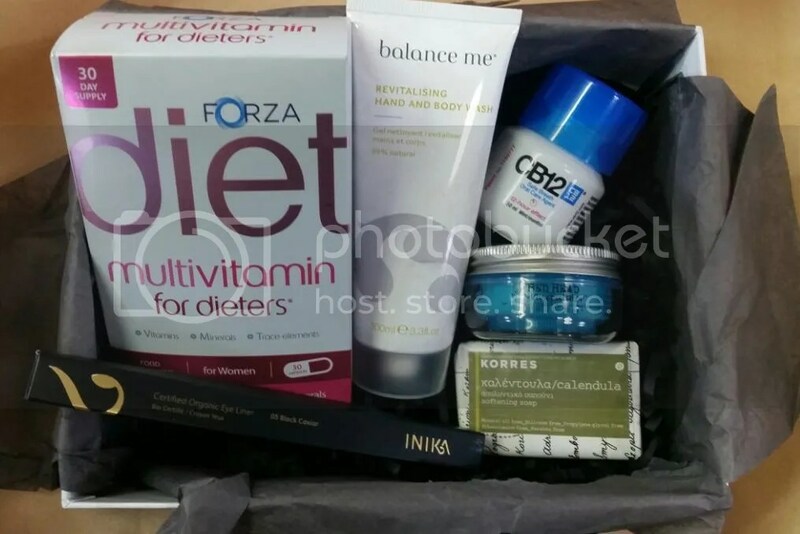 Somehow I think I have jinxed a few beauty box services – everytime I sign up for something, they close down in the next 3 to 6 months. That happened to LipFactory (closed within 3 months of me signing up), then Memebox decided to stop international shipping (within 6 months of my first box) and now, just a few days ago, Bella Box has announced that they have closed down in Singapore (also within 6 months of me re-subscribing to them). Thankfully, LookFantastic is still standing! Please, stay open! The Addiction Lipcrayon in Red Lantern was one of the many beauty items I picked up in Japan last Christmas. I haven’t heard anything about it but I was in a happy mood, and if I only bought things that I’ve heard about then life, and this blog, will be pretty boring, wouldn’t it? 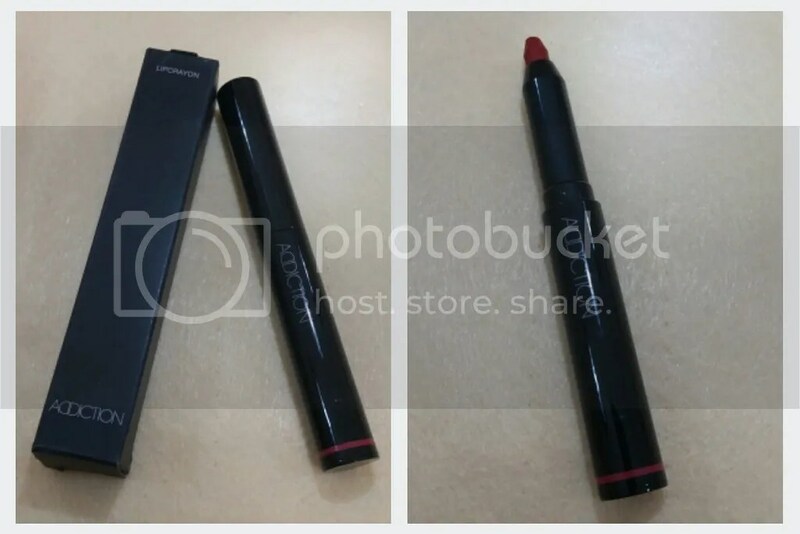 I don’t know why I picked this shade, since I’ve almost never worn a full-on red lippie out before, but something about red lipsticks just make me want to grab it – and my cupboard full of unused red lipsticks is testament to that! I’ve never been really a lip product kinda girl but recently I realised that I have a ton of lip products! I really only put on lip products, other than lip balm, during special occasions, so I don’t know why I have accumulated that much. So to reduce my stash, I’ve drawn out a few lip products that I’ll bring out everyday and try to use up in the next 3 months! A few of them are pretty old, but they still smell and the texture and consistency are still the same, so I’m comfortable with using them. First up, a No7 Sheer Temptation lipstick in 40 Lovely; I love the smooth and light texture, and easy to wear light pink tint. MAC Cremesheen Glass in Astral is such a lovely juicy-looking gloss that I’m not sure why I don’t use it more. 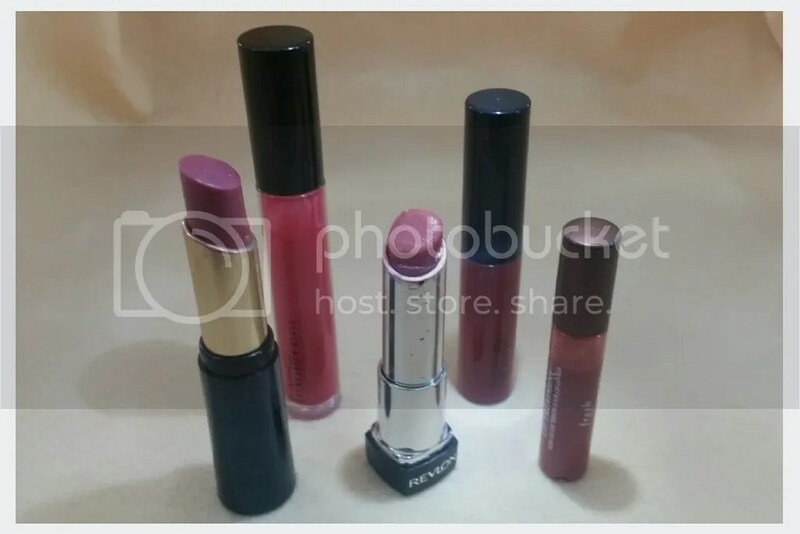 I’m nearly done with the Revlon Colorburst Lip Butter in 025 Peach Parfait, a really glossy and comfortable sheer lipstick. I actually really love the MAC Lipglass in Ready to Roam – a really full-on red gloss that’s really eye-catching and not too sticky; I’m just not too comfortable with that much colour but I guess I can sheer it out a little to get myself used to wearing some colour on my lips. Last but not least, is the Fresh Sugar Rose Shine Lip Treatment; this adds just a little colour and I’ve been using it in place of a balm. 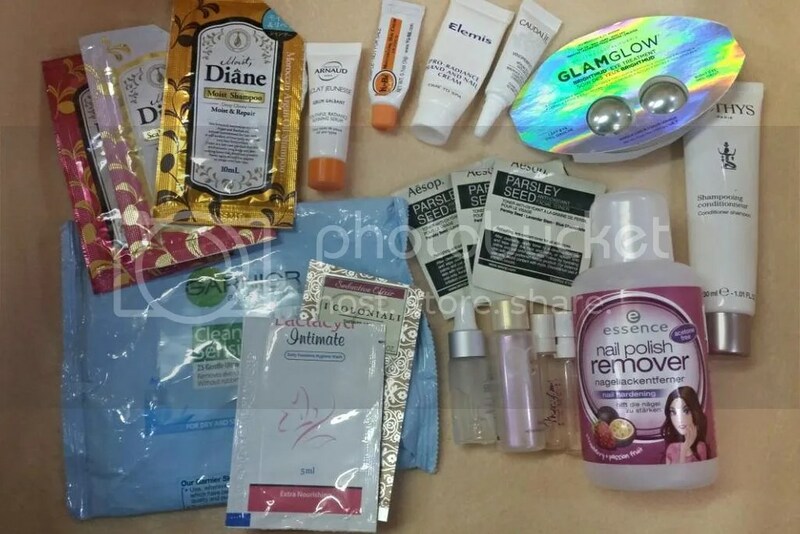 So this is it – the 5 items that I will try to bring out everyday and hopefully I will use up pretty soon! What about you? Do you have any strategies to use up neglected items more quickly? 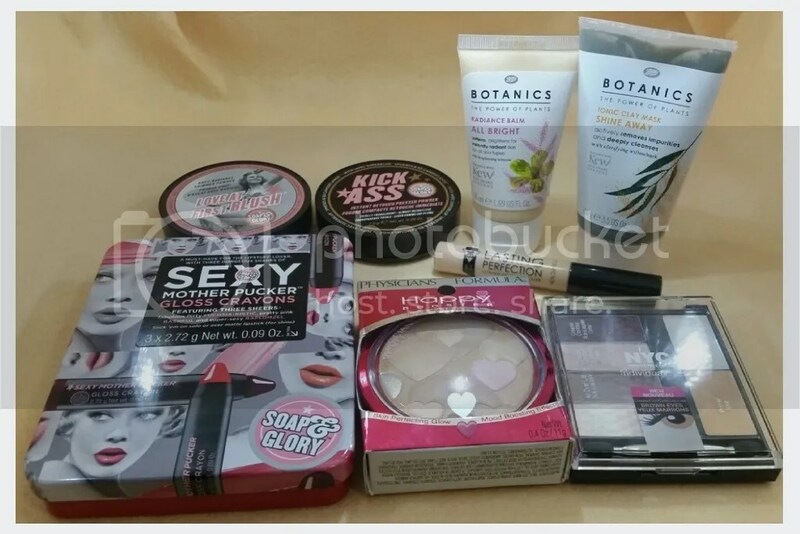 A quick run through for the week, nothing much on the makeup front – I’m having a bad skin week and have been laying off from my makeup AND skincare; sometimes the skin just needs to take a breather, rather than a truckload of remedies to make it better. 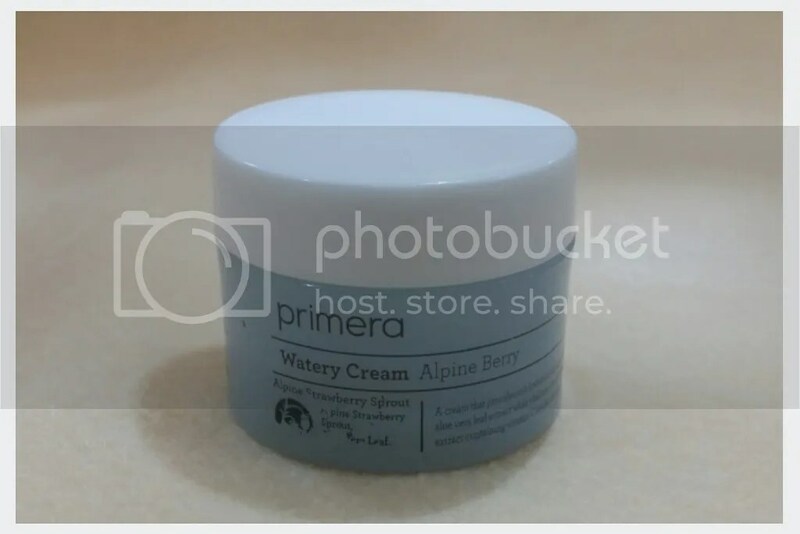 I got this little 15ml jar of Primera Alpine Berry Watery Cream as a gift when I purchased a full jar of their serum and I’ve been using this most nights for over 3 weeks. It’s small but it sure does last long! The store is really popular in Korea, and always packed with people; but outside of Korea, I’ve not seen this brand around so I’m not sure where you can get this. 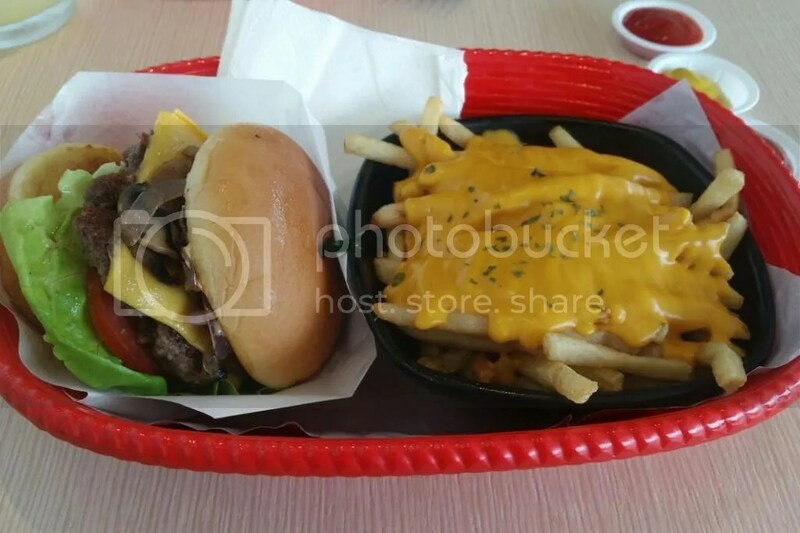 This is one of their most popular items.